Big City Rhythm & Blues magazine is the essential music guide that keeps you in touch with the national blues scene. 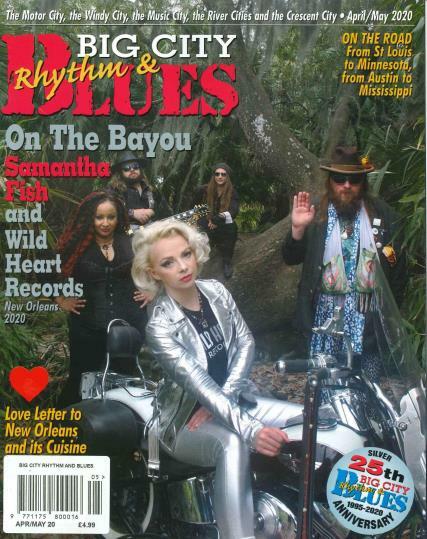 Buy a single copy or subscription to Big City Rhythm & Blues magazine. It presents articles and interviews on today’s leading blues musicians in ALL the great Blues Cities, historical features on Blues Greats, calendar of events & Blues Festivals worldwide.. The magazine creates incomparable CD samplers of the best in R&B music, and is a true 'cure for the blues' with every issue. Being a truly American creation, 'the Blues' laid the groundwork for all contemporary music - from Rock N’ Roll to Jazz.. The foremost authority covering the world's famous Blues cities, BIG CITY BLUES is the essential & required resource for R&B listeners and musicians alike.